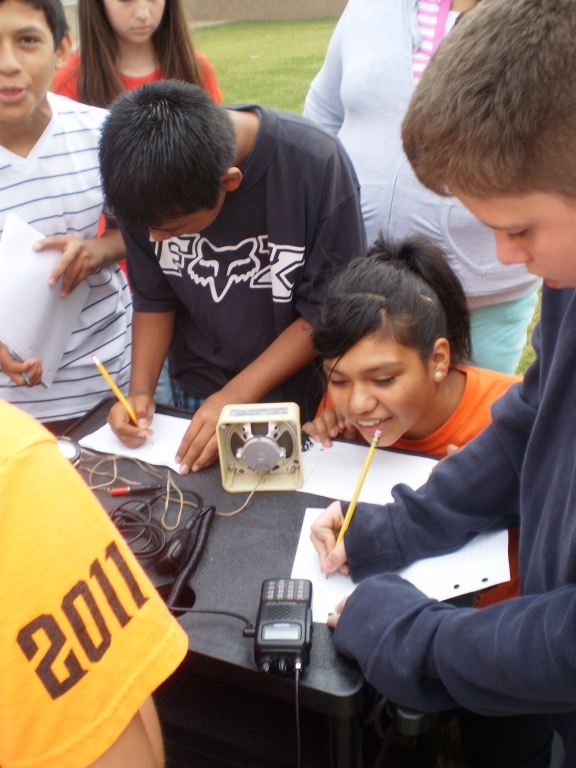 Two times a year (spring and fall), the ARISS-US Team opens windows of opportunity for accepting education proposals from US schools and education groups hoping to host an Amateur Radio contact with a crew member on board the ISS. Click here for more information about the proposal requirements and process for US hosts. 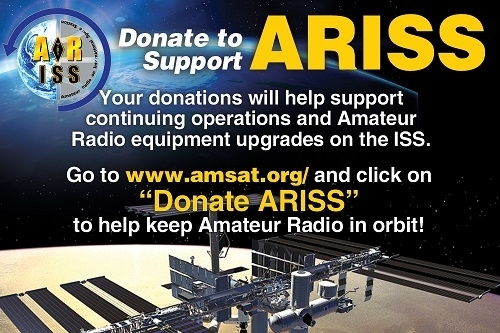 Find more details at www.ARISS.org/Donate. The ARISS program provides a thrilling introduction to space exploration, an opportunity to learn about life on board the ISS as well as a hands-on taste of how exciting Amateur Radio can be. ARISS provides opportunities for youth, teachers, families and communities to become more aware of the substantial benefits of human spaceflight and the exploration and discovery that occur on spaceflight journeys. 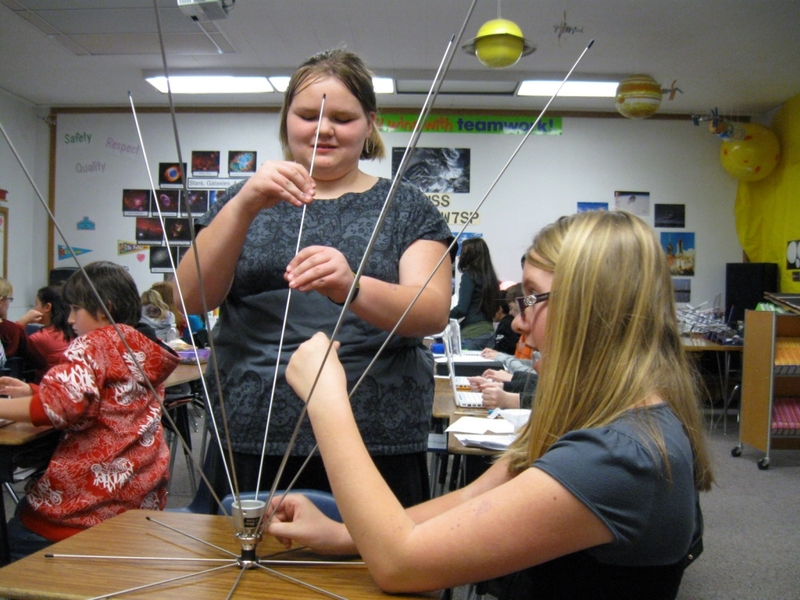 ARISS provides a forum for students to engage Science, Technology, Engineering, and Mathematics (STEM) activities, including Amateur Radio and the science of radio, and to explore our Earth from space. 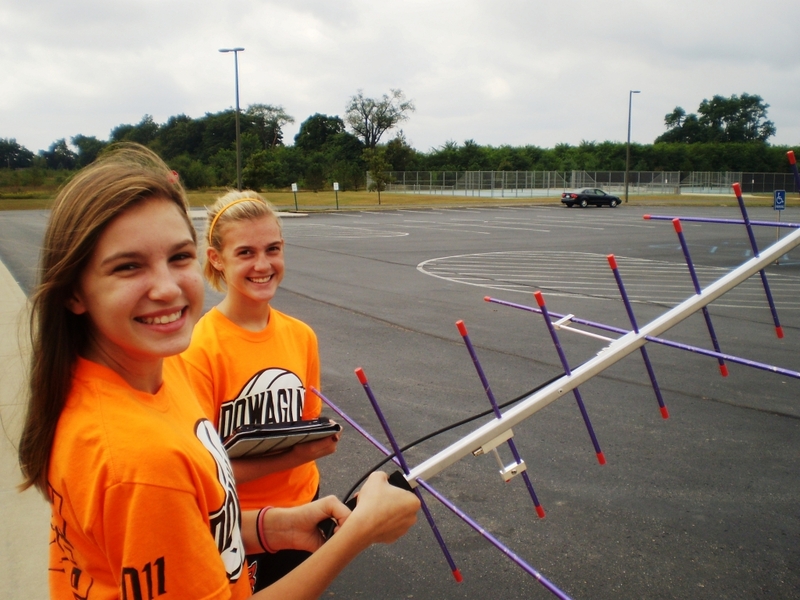 ARISS partners with college and university students in STEM-related fields, giving them the chance to apply what they have learned in their classes to hands-on projects. ARISS provides the opportunity for radio amateurs all around the world to talk directly to astronauts aboard the ISS! Amateur Radio on the International Space Station (ARISS) is a cooperative venture of the Radio Amateur Satellite Corporation (AMSAT), the American Radio Relay League (ARRL) and the National Aeronautics and Space Administration (NASA) in the United States, and other international space agencies and international amateur radio organizations around the world. The primary purpose of ARISS is to organize scheduled contacts via amateur radio between crew members aboard the International Space Station (ISS) and classrooms or informal education venues. With the help of experienced amateur radio volunteers from amateur radio clubs and coordination from the ARISS team, the ISS crew members speak directly with large group audiences in a variety of public forums such as school assemblies, science centers and museums, Scout camporees, jamborees and space camps, where students, teachers, parents, and communities learn about space, space technologies and Amateur Radio. Provide an opportunity for Amateur Radio experimentation and evaluation of new technologies. Provide a contingency communications system for NASA and the ISS crew. Provide crew with another means to directly interact with a larger community outside the ISS, including friends and family. Scheduled ARISS Amateur Radio contacts with the ISS are conducted either by direct contact, or by telebridge contact. The method used will depend on the radio station equipment and experienced radio amateur volunteers available to support the contact as well as technical issues related to the orbit of the ISS over the contact location. Because the ARISS program supports the testing and installation of Amateur Radio stations aboard the ISS, astronauts have the equipment available to also make unscheduled ham radio contacts with radio amateurs all around the world on a one-to-one basis during their personal time. 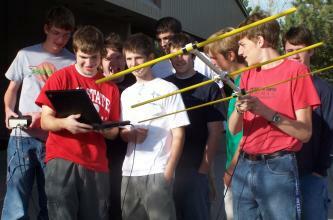 With a very limited investment in amateur radio equipment, licensed hams, including students who have access to Amateur Radio stations in a classroom, can make iindividual contact with astronauts aboard the ISS by learning to follow the published orbital schedule and practice some basic Amateur Radio contact techniques. See the short video below for some background on the ARISS program and how Boulder Hill Elementary School with guidance from the Fox River Radio League prepared for their contact. 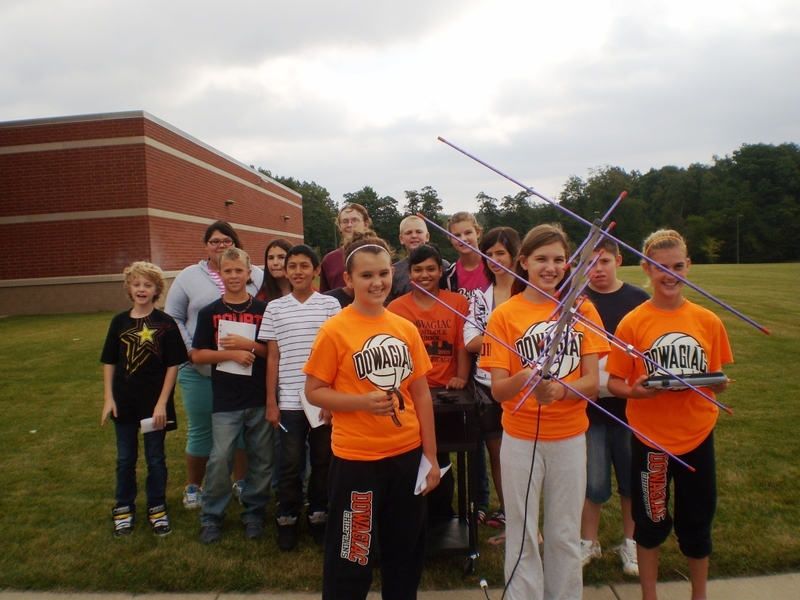 Dowagiac Middle School students were thrilled to contact ARISSat-1, and using Amateur Radio, download satellite telemetry data as well as their photo flown in space. A short video providing some background on the ARISS program and how Boulder Hill Elementary School prepared for their contact with the guidance of members of the Fox River Radio League. Host a Contact with the ISS! Proposals are accepted during two windows each year. Find out what you'll need to prepare and how to submit your proposal. Upcoming contacts are posted on the ARISS website as details are finalized. 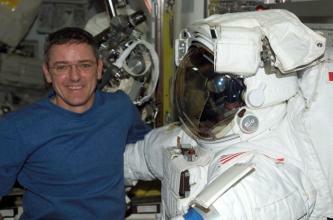 Talking to astronauts aboard the ISS is only one of the many adventures you can have with Amateur Radio. Download and print this flyer to share with others who may be interested in hosting an ARISS contact.